I’m a forester in Northern California. I started my career in natural resources 1977. I have done a great variety of different forestry jobs over the years. It is an awesome career in which my desk is the hood of my truck and the trees in the forest are the walls of my office. As an artist I started as most with a set of crayons, then as an adolescent my enjoyment of comic books increased my interest in creating art. I tried watercolors as a teenager. With no training my first few attempts looked more like acrylics, but over time with practice and study I improved. I was drawn to watercolor because it is quick, bright, dynamic and full of surprises. Watercolor is still my favorite artistic media followed closely by pen and ink and photography. I have had the privilege of doing art for fun and profit and after six children’s books I feel I still have much work to do. ^ – ^ Oh hi , I rush into the forest since I I really want you to know that I have just nominated you for the ILLUMINATING BLOGGER AWARD ^ – ^ Plz drop by my garden to grab the prize and feel free to enjoy the little tea party there, have a sweet day! Thanks you so much Bernice I am honored. I will endeavor to except, but I must confess to be dismally inadequate at posting the awards. A timber faller, I think that’s great. It isn’t a job for just anybody. You can ask me if you have a question. Then you can impress him. I won’t tell! Hello Tim. I have a question for you. I am curious as to what you use to prevent flea and tick infestation? Hi JK. On our dogs we have used Frontline an Advantix. The Frontline didn’t seem to control the ticks as well. Right now we are trying a new product and I think iris called Simpleguard. It seems ok, but I have pulled a few ticks off of them. We’ll have to see how we’ll it works. Thank you for the information! We will be sure to try both the Frontline and the Advantix. I’m glad you understand. Thank you again. I’m so glad the fire was able to be put out and everyone is okay. Do you own this mill? Is your home right next door? Awesome photos and sketch! It’s amazing that you could even think to photograph at a time like this. You must have kept a cool head. I work for the mill and live about 20 minutes away so the fire wasn’t near my house. I always keep my camera handy. I took pictures in between fighting the fire. We had lots of bodies there and everyone jumped in to help. The risky part was trying to make sure nothing happened to the camera. Thank you Jadi. I am honored. Unfortunately, I had give up doing awards, due to my inability to ever properly respond to them. But, thanks for thinking of me. Thanks for visiting my blog and following! I have met you before through the backdoor so to speak – namely The Backdoor Artist! I am so impressed with all that y’all do. I’ll be back to visit some more, I’m sure! I love your blog and I appreciate that you follow mine too. Each month, I post a list of days to celebrate. There is a World Lumberjack Championship designation for July 25-27, 2013. Have you ever participated in it or other lumberjack events? Would you consider creating a guest blog post for me in July on this topic? If you cannot spare the time, do you have links to your blog posts that I could share on this topic? Please contact me at landersen74@yahoo.com to discuss it further. Thanks so much. I look forward to speaking with you about it. Thanks for liking my doodle and nice work! Fantastic inks! Happy to visit you site Don and thanks. Your illustrations are excellent! Hi Jonathan, thanks for the reblog. The math subjects that have been most important are statistics, geometry and trigonometry. If you get into forestry research, you need more some calculus and chemistry. Shame on them for telling you that. There is always a way to get it done if you really want it. Hi, Just to let you know that I’ve nominated you for 3 awards…. http://nightmarelogic.wordpress.com/2013/08/14/my-nominees/ No worries if you want them or not… just showing my appreciation! Hey Tim, Congratulations on the new website. I wondered why your wordpress site was no longer showing on my reader. Always love your posts. Good luck ! wait a minute! it is showing up now !! Wats happening to my account!! glad that I can still see you on wordpress… easier to leave comments and such. Hi Malvika, I’m still at the same site. It has been a busy Summer and I haven’t posted much lately. Hopefully, I will have more time now. I hope all is well with you and your family. It sounds like a relaxing summer for you. How wonderful. I hope to be doing a few posts about mine soon. This is a really nice blog Tim. Coming the beautiful nature that you are surrounded with and showcasing your lovely drawings and paintings.I must say that coming from a city girl like me, living in a small city state, I really envy you. However, I hope to capture more of my city, and whatever nature is here, through drawing an painting. Look forward to more posts from you. The bold colors and high contrast make for a dynamic picture. Although, I do layer my colors a lot, perhaps too much. There is always more to learn, isn’t there. Hi Tim, you have a very nice blog. I enjoyed your water color painting on some of your posts. I like painting too, though with oils and occasionally water colors. I look forward to following your blog. Stay safe out there! I look forward to see some of your art. I will be over for a visit. Do you have any of your art posted? Great site! I will spend some time reading through your posts. 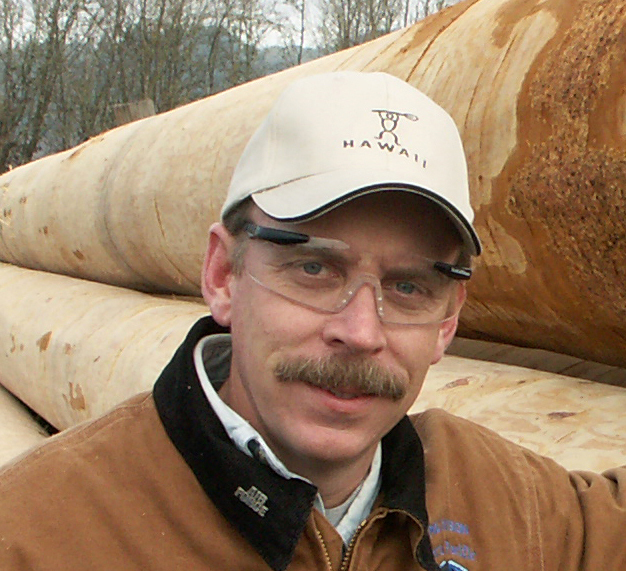 Are you familiar with Mark Vander Meer’s work with soils in forestry? I really like his analysis of how to restore trodden areas in forests. Thanks for stopping by my blog. Thanks Mick. Sorry I missed your comment earlier, but I sure appreciate it. As a result of being given awards, and not following them up, I have just done a post offering ‘bouquets’ rather than awards, and you are one of the people I have listed as being particularly inspiring, I love your gentle take on life, your warmth and sense of humour. You are obviously very content in your life, and it comes across. Happy New Year! Thank you so much Mark. I look forward to exploring more of you blog. I looks like you’ve seen some sights! Thank you. There’s no time like the present to learn something new! When I started with pen and ink, I picked up a book by an artist whose style I really liked. That was a good place to begin. I studied that and just practiced. A lot of very nice work on this blog. Thanks for “liking” my drawing! Tim, I have to ask. I live in the Pacific Northwest. Logging is not what it was when my grandfather did it. How do you reconcile loving the forests with clear cutting. I’ve lived all around it and it is the most devastating form of taking trees — and everything else in its wake. I cry every time I see yet another area simply gone, and they do not come back, very very rarely — I can’t even drive Highway 26 in Oregon in daylight. It is an open handed question, because I see loggers as destroyer now — and remember, my grandfather did it when it was a simpler job. Hi Katie, I appreciate the sincerity of your comment and I can tell you feel very strongly about this subject. I know many people feel exactly as you do. Looking at a clear-cut, you have to wonder how can there be anything redeemable about it. So why clearcut? The answers are complex. I started writing you on the subject and decided it is just to much for the comment section. This is more fitting for a blog post. Can I use your comment to open such a post? I believe many others would be interested in this topic. Then you can address anything you like in the comment section of that post. If that is agreeable I will make it my next Forestry Friday post. What say you? That sounds good, and yes, it was a sincere question. Thank you; I am glad you did not just write me off! Not at all. It’s a post I’ve been planning to do, and I think you’re view is shared by a lot of folks. What you said is what many think, but may not be comfortable enough to say. That’s why I like you comment, because others will relate to it. I won’t get it done this Friday, but will shoot for next week. Thanks. Here is a man you will want to follow: I’ve made a new friend, Richard Johnson (http://www.newsillustrator.com/). He is an Urban Sketcher, an artist, a husband, a dad, and a reporter for the Washington Post (http://www.washingtonpost.com/news/drawing-dc-together/). 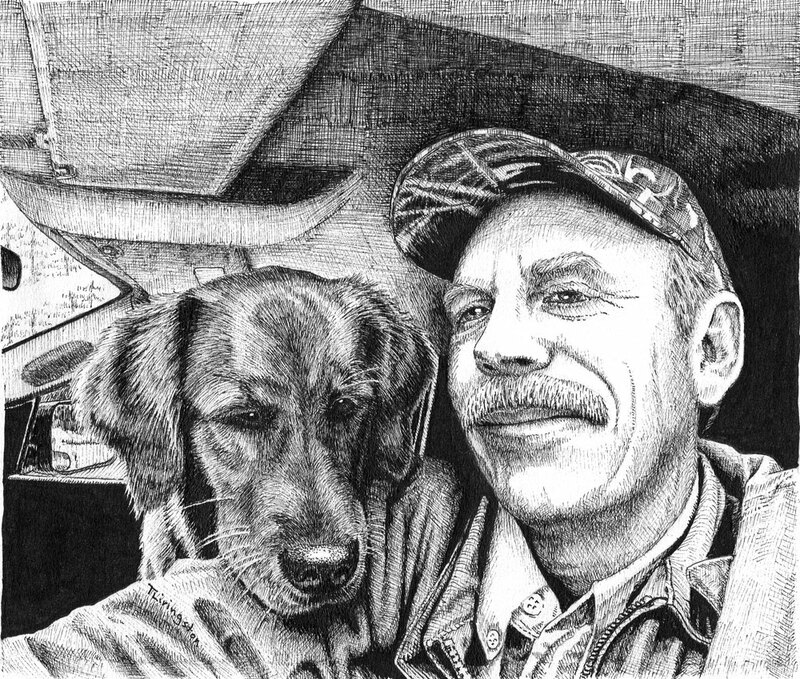 I am awed at what he does, both where he does it and his fabulous drawings. He is an inspiration to me, and I pray for him every day. I highly suggest you click to see a few of his illustrations, stories — I am giving you a broad view. His writing is good and his drawing take you there. But before you do, go see the conditions in which he does some of these drawings (https://www.flickr.com/photos/84131556@N06/14963606310/). I WILL NEVER SAY I AM UNCOMFORTABLE DRAWING IN PUBLIC, EVER EVER. Thank you so much Courtney! I can see why you miss it, being so far from home. Feel free to come by anytime. In the meantime, enjoy the Med for those us back here. I was just browsing around tonight and stumbled on your blog and had to follow so I can see more of your art as it comes along. I like the background on your page too since I like walking in the woods. I am an artist myself, but only digital art, although I’ve tried painting with real paint, and some art with colored pencils and sharpie markers lol… but my favorite is digital art. Looking forward to seeing you in my wordpress reader. Thanks for dropping by David. I appreciate your kind words. I have yet to try digital art. I may sometime. I’ve been doing it old school so long it’s hard to change. However, amazing things are being done with digital art. It was my pleasure and I’m sure I’ll be back for more visits. I think I was drawn to digital art more than anything else because of the “technology” aspect of it. I’m a beginner and learning as I go, but I have a lot of respect for artists that can produce art with real materials such as that of your own. I’m fortunate indeed! And soon I will have a new “Goldie” to join me in my office. I’m looking forward to that. Right now we have only one, Sailor. 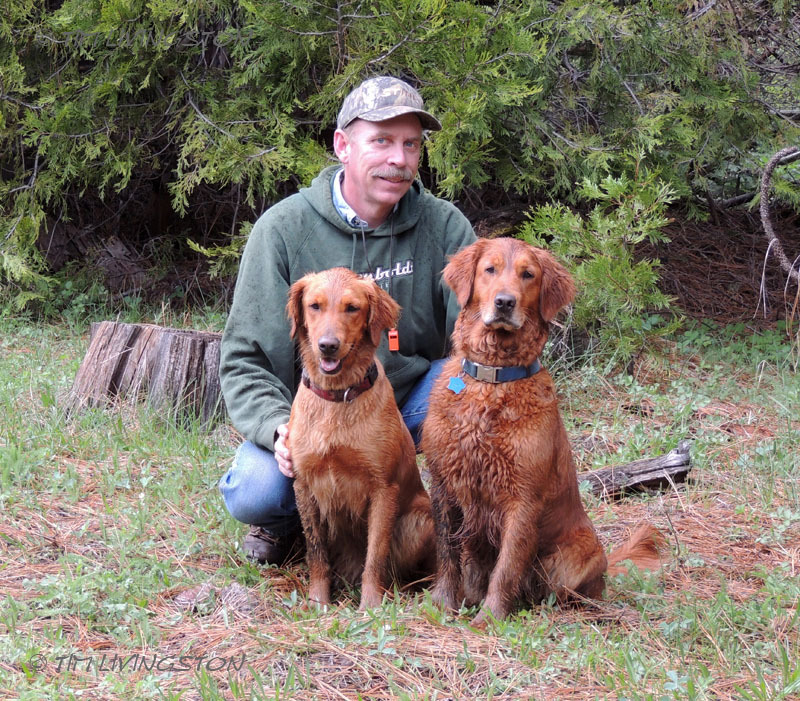 We’ve raised goldens for nearly thirty years. So with one dog, the house seems nearly empty. I well believe it… we had always 1 dog… however I like the idea of a seconf one. Guess it is just a matter of finding the right dog, not sure if I would like a pup. The need a lot of time I guess. I always prefer a puppy. There is nothing like starting them out myself. well in your office it will be paradise for the pup. when i work in my 4 walled office it is no problem, just the time on the road and with clients is critical. You have some really wonderful art. Not to mention cute dogs. Thanks Tom. I even have a little Cat art around. Thank you so much Nicola. I really appreciate you kind words. I really enjoyed your site and thanks for dropping by here. You write so modestly about watercolors, but a painter friend used to call them the master’s medium because they’re so unforgiving: One stroke too many and the painting’s wrecked. So true about them being unforgiving. As for the master’s medium, I guess my work is not yet done! Wonderful art and wonderful to have the forest for an office…I can be envious of both!! Thank you so much Judy. I know, I’m very fortunate. Managing our base of ‘followers’ the other day, your ‘nick’ came up! It shows that you e3nlsted as a ‘follower’ to ‘SeeNorway’ one bright morning in December 2012, and since the we must have published more than 6000 ‘full screen’ pictures from Norway. Accordingly you should have been alerted automatically? But we can’t recall seeing nor hearing much from you lately. Checking you out, we find that you’re still active and kicking . . . 🙂 But perhaps our work doesn’t hold your interest the same way any longer? You might even been cancelling your ‘follow’ without the system alerting us to that? This to notfy you that we’re trying to implement an automatic delete of all nicks we haven’t registered over the last 12 months. This to prevent things getting out of hand. I understand. I’ve not been very active lately and have only checked the reader intermittently. I turn off all email notifications otherwise my mailbox is jammed. If I don’t catch the posts in the reader I don’t see them. Your blog is excellent as is the photography and I do enjoy it when I see it. I’m expect to be more involved in the future, but that will be down the road a ways. Thank you for all the ‘likes’ and following my blog. I appreciate you taking the time and glad you enjoyed it. You’re welcome Kevin. I’ve alway been a big Bernie Wrightson fan too. Also, thoroughly enjoyed and was completely creeped out by Lovecraft when I was young. Good stuff.